that if you outlaw the burning of fossil fuels and nuclear power, our only resource for heating homes and food would be timber - which would be a heavier pollutant than present heating systems and would heavily impact our forests as logging would go through the ceiling. A new life awaits you in the off world colonies; the chance to begin again in a golden land of opportunity and adventure! The First Amendment applies to SMS, Emails, Blogs, online news, the Fourth applies to your cell phone, computer, and your car, but the Second only applies to muskets? They expect you to use windmills and sunshine to power everything. If the way they worded Prop 127 here in Arizona is any indication, they don't even like you putting up a dam and using hydroelectric. I don't even think that most of them believe all this crap, the Global Warming and all the rest. Its the same as the bosses of Socialism; it is about seizing control of the means of production. They know that the world can't function without oil & gas and even coal... not without turning the clock back to 1750. Ah, but if they raise the prices and collect the difference, that makes them rich, like Al Gore with his Carbon Credit scam. If the control access to efficient energy, they have POWER, to an incredible degree, over everyone. How could they resist? Socialism appeals to those who are focused on controlling other people's lives, they are very intrusive and don't know when (or how) to stop. Cortez wants to replace Airliners with Trains, talk about a giant step backwards! I wonder if anyone has told that Nutcase that trains don't work very well in water? They have already thought about it where the burning of wood for heating is restricted, even banned in many Western States. 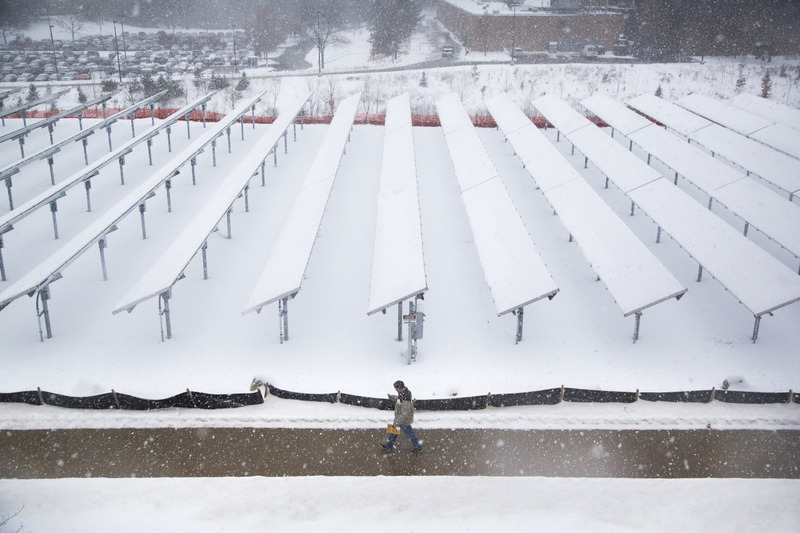 Where the fk did wind mills or solar panel stop working because of the cold. Wow, what a narrow minded DS. They do when it's heavily overcast, raining, or snowing... particularly snowing. 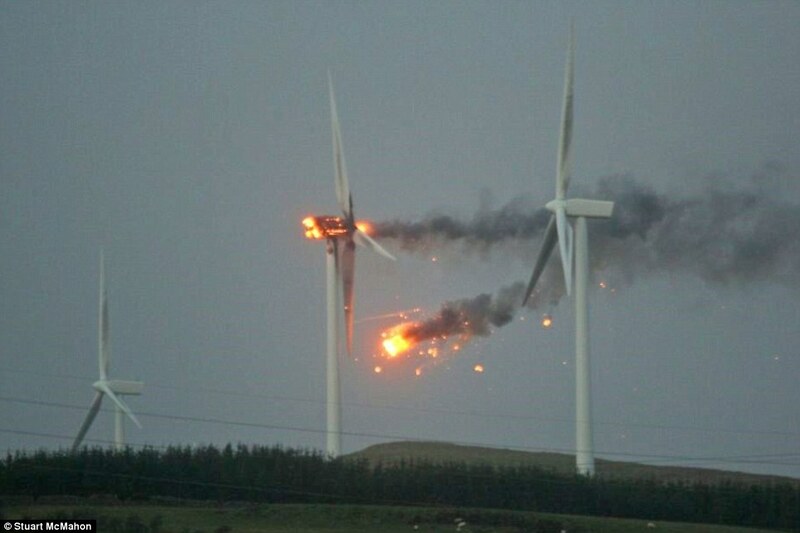 Wind power stops when the wind blows too hard. There is an upper limit on their operation, just as there is a minimum. So, they don't work in a blizzard. Wow, what an empty minded DS. They don't work when they ice up and freeze. This is one thing that happens when they spin too fast. I agree with The Exorcist. The environmental movement has been taken over by the far left. It is as focused on "social justice" as practical solutions to environmental problems. The irony is that cheap energy is an important factor in balancing the effects of income inequality. High energy cost have little effect on the "professional" class of left leaning individuals, what has come to be called the coastal elites. An increase in household energy cost from $300 to $600 dollars is a drop in the bucket where household monthly budgets are $6000. The same principle applies in high tax countries where dramatic increases in energy cost are nothing compared to 60 percent tax rates. The best example is California where moderate temperatures dominate the coastal areas where "liberals" live. In the interior where many of the immigrants live high energy costs force the poor to spend hot days at WalMart. I see the environmental movement in the same light as prohibition. An attempt to address social injustices by impractical means. Moral panic is never focused or entirely rational. That doesn't mean they are entirely bad. Social censure against smoking and driving drunk has been effective. We need an environmental movement but it shouldn't be headed by ideologues. Not me...I'll just throw a few environmentalists in the fireplace and stay toasty. They'll last all night in you cut 'em to the right length. Of course they are. Tax revenues on those sources have gone up as well. Enviromentalists and politicians live on the wrong side of the Looking Glass. I've already done the math. At $ .25 a KWH it's cheaper for me to buy two generators and run one on natural gas 24/7 than pay for electricity right now. So much for solar and wind. That would mean that electricity prices would just about have to double here. But, if they do... I'm off the grid! 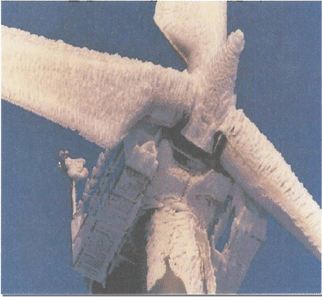 Texas is having trouble with windmills; they certainly don't freeze up, but in the 'hundred days of 100+' each summer they suffer a high rate of breakdowns due to lubrication issues. Any man can hold his place when the bands play and women throw flowers; it is when the enemy presses close and metal shears through the ranks that one can acertain which are soldiers, and which are not. They have already though about that. All times are GMT-5. This page was generated at 15:37.